Finally! 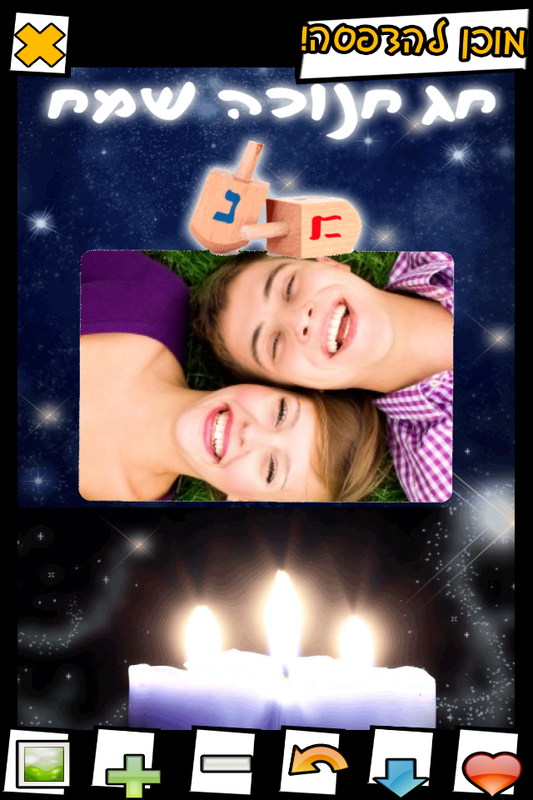 a Jewish holidays themed iPhone app. The uniqueness of the application is the ability to order personalized printed photo gifts using the photo you created. Choose by clicking on the gift you would like and wait until your picture uploads. This entry was posted in apps for parents, Hannuka, holiday iphone, Jewish, passover, photo apps, shabbat and tagged app, cards, hannuka, iphone, jewish, magnets, Passover, shabbat, sukot by x x. Bookmark the permalink.